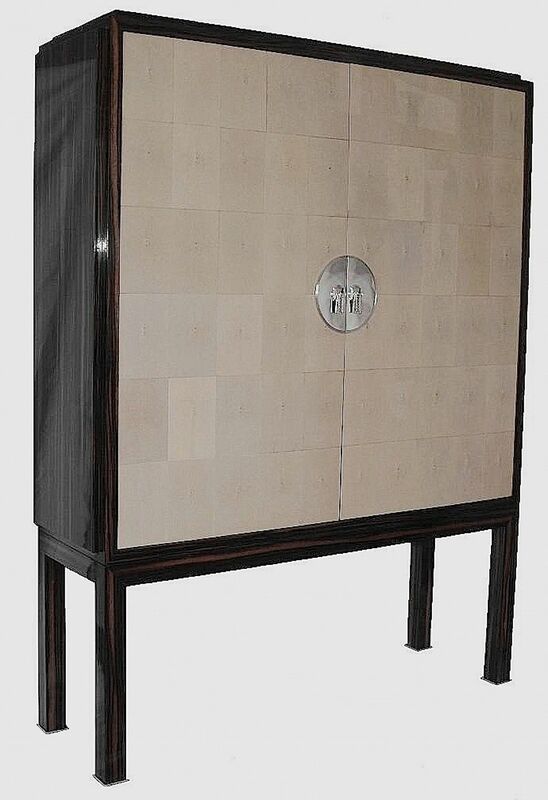 The exterior of this cabinet on a stand is macassar ebony veneer. 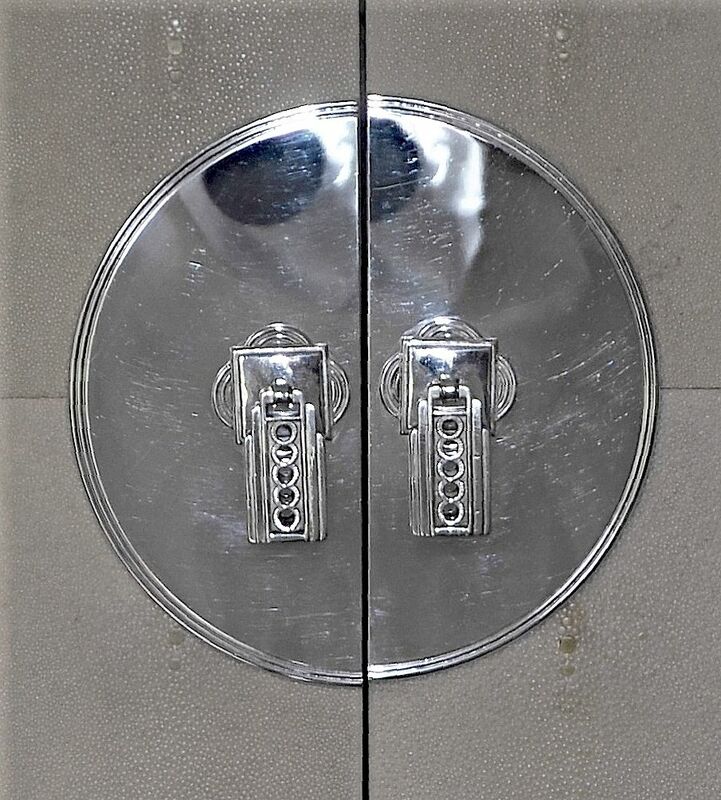 The doors are covered in ivory shagreen panels and the original Art Deco handles are in silver plate on silver plated and incised plaques. 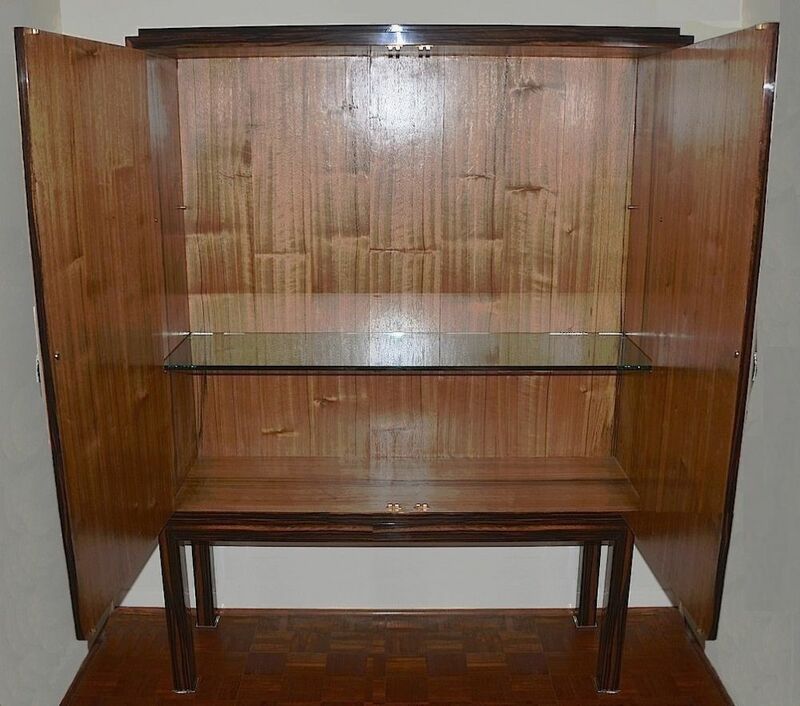 The cabinet opens to reveal two thick plate glass shelves and fruit wood veneer lined interior. The cabinet is fixed onto the macassar ebony veneered stand but can be detached for ease of movement. 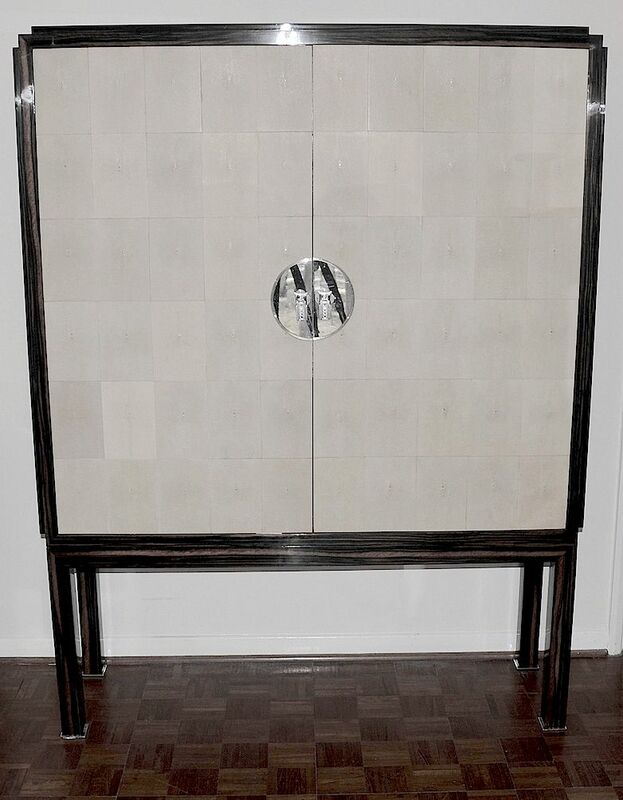 We have restored this cabinet to our specifications and design to create a fabulous stylish piece of bespoke furniture that is as useful as it is beautiful.